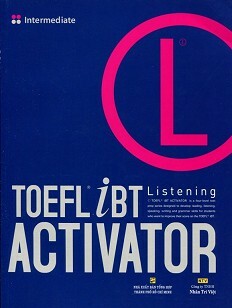 TOEFL iBT Activator series will help students prepare successful real exam at the same time improving the knowledge of English in the academic field. -Help students correct homework through the step by step training method in the section reading, listening, speaking and writing. -Provide the lively exercises to familiarize students with the types of questions TOEFL iBT. -Vocabulary and idioms required in the review. -Develop the ability of its expression in speaking and writing. -Provide more information about academic topics and activities in the University. -Provides the important exam strategies in every section in the book. I download the file, but I didn´t find the e-book. Where is the book?.